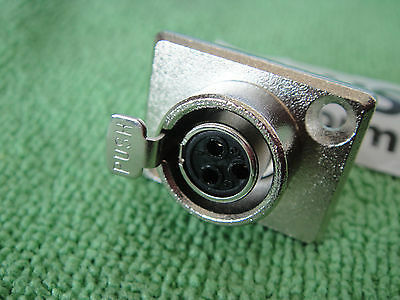 THIS IS FOR 2-PIECE [ photo shows 2 , just for better viewing ] — Mini 3 pin Female Jack Socket XLR Audio Microphone Connector for tie clip . — very high quality. 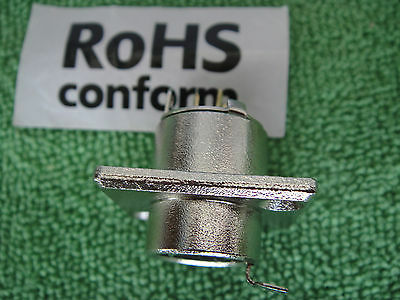 Nickel plated on metal part and gold pins ! good for audio or power connection on some headset microphone, lavalier microphone, wireless microphone, or industrial, R&D and production instrumentation of all kinds… ! Shell mickel plated bronze. Contacts brass gold flashed. please feel to ask any questions. We value our customers so that if you have a problem ,PLEASE FEEL and DON’T HESITATE TO GIVE US A RING OR CONTACT US BY EMAIL IMMEDIATEDLY, we are always there to offer help. We accept payment through PayPal .For purchasing multiple items, Please email us for a combined invoice . Generally we would like to receive payment within 48 hours if paying by PayPal. We will not ship items until payment is received / cleared. Thank you for your understanding. Our parts are carefully packaged to prevent damage in shipping. However, we are responsible for any damage.